Dr Suzy Green will speak about wellbeing at Blacktown Hospital as part of the WSLHD Wellbeing Festival. 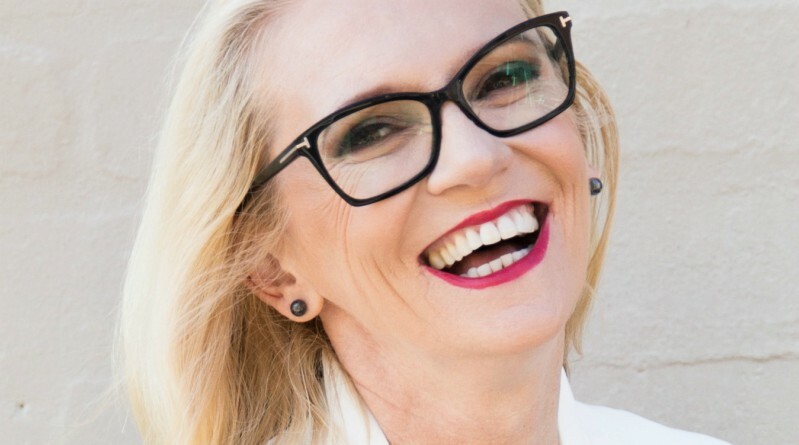 The founder of the Positivity Institute, Dr Suzy Green, will speak on The What, Why and How of Wellbeing at Blacktown Hospital on Wednesday, 31 May, from 12pm-1pm. Don’t miss your chance to hear Suzy – as well as being a clinical and coaching psychologist and the recipient of an International Positive Psychology Fellowship Award, she’s an amazing speaker. You can book for her Blacktown session here. A mother, daughter, sister, partner, friend and fanatic about positive psychology and creating a flourishing world. Weekdays – I have a routine – I’ve been using MyBestSelf diary for a few weeks now and find it really helps me prioritise and use my time mindfully. On weekends, I like to let the day pan out a bit more with walks, movies, books and friends. How did you get into the field of positivity? It’s a long story, but it pretty much began in my 20s when I was interested in self-help. I started out working in clinical psychology, but through a series of fortunate events, I’ve ended up in proactive mental health, focused on enhancing wellbeing, rather than treating illness. I really feel like I’m playing to my strengths now. How was positive psychology viewed 10 years ago? It was seen as “happiology” – a fad, not hard science. It’s being taken more seriously – but we still have a way to go until it’s in all schools and workplaces. What does the word ‘wellbeing’ mean to you? My first thoughts go to the science, which is still debating what wellbeing is (although we have some fairly solid theories like self-determination theory, which suggests there are three core psychological needs essential for our well-being – competence, autonomy and relatedness). More recently, people are using Martin Seligman’s PERMA theory (positive emotions, engagement, relationships, meaning and accomplishment). Personally, wellbeing means striking a balance between my work (which really doesn’t feel like work) and my relationships (which are most important). Can everyone experience wellbeing – even in environments where emotions might run high, and people might feel unwell? Yes, I believe so. I’ve worked with very unwell people who can still find moments of flourishing, even in the darkest of times. In the workplace, similarly, there are small things we can do to shift the mood, like having a small bunch of flowers on your desk or photos of loved ones or indoor plants (which have been scientifically proven to boost your mood). More importantly, it’s about shifting your mindset and focusing on what’s working well (it’s never all bad! ), then finding a group of like-minded people who want to make positive changes. Who is the most ‘flourishing’ person you’ve ever met – and why? A mentor of mine – a psychologist – who was one of the first women to do pharmacy at Sydney Uni and then moved into psychology. She’s now in her 90s and retired. I spent a week observing her work with clients when I was an intern and I wrote down all her pearls of wisdom, like “look good, feel good”, “put the ball back in their court” and “say it as it is”. She was strong and brave. She never hesitated in challenging someone, including me, if she knew it was for their own good. Give me five tips to improve my day. 1. Start your day with meditation, journalling or gratitude. 2. Aim for 10,000 steps a day, and 40 minute of exercise three times a week. 3. Look for an opportunity to do an act of kindness – random or with intent. 4. Savour as much as you can – food, precious time with friends, flowers. 5. Spend time reflecting at the end of the day to find what good there was, what you could have done differently and what your intention is for tomorrow. And how about a couple to improve someone else’s day? 1. Let the person who’s having a tough time know that you are there for them. 2. Smile – it’s contagious. What habits should we practice to get the most out of life? Mindfulness, gratitude, regular physical exercise, being fully present in all connections with have – small or big – and using and developing our character strengths (www.viacharacter.org). Thanks Suzy – we can’t wait to see you at our Wellbeing Festival at Blacktown.